Both sides have won penalties in quick succession and opted for a quick tap before turning the ball over. The Highlanders end the phase with a net gain though and a penalty on halfway. Sopoaga is lining up a kick from halfway. And he's got it. What a kick. He struck it brilliantly and it sailed through the posts with room to spare. highlanders are doing hard at the breakdown.canes havent struck anything like this so far this season. Aaron Smith has made a mistake now, kicking out on the full from outside his 22 and the Hurricanes now have a good attacking opportunity. But the Hurricanes are back at them again, quickly making their way back tot he 22. Conrad Smith goes close. 5m away now. On what could have been a big occasion for their salon, TJ Perenara's hairdressers have really let themselves down. But once again, a great opportunity is wasted. This time it's a Hurricanes knock-on as Gibbins was trying to pull the ball out of the ruck. highlanders are bloody tough in defence.great play by both teams. The Hurricanes have stolen the lineout 10m out and are now perched on the goal line once again. Can they convert this time? No they can't. But they have earned a 5m scrum. 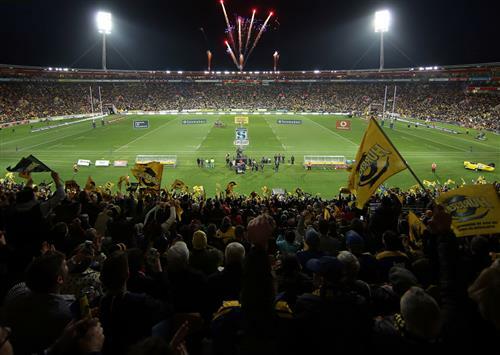 The Highlanders tried a short lineout and the Hurricanes picked it off easily, could still be a costly mistake. Five minutes to go in the half. Its no good making the metres if you make mistakes and cant the ball across the goal line. Nonu has barged over in the corner and the crowd erupts. The Hurricanes have lift off. After 35 minutes of resolute defence from the Highlanders the dam finally burst. Nonu found himself one on one with Buckman and easily pushed through. But Barrett has missed the conversion. That's three missed kick from Barrett tonight. The Highlanders have been perched inside the Hurricanes 22 for about a minute now. Will they try a drop kick before halftime? Or will they just score a try? Elliot Dixon has perhaps just scored a magnificent try. 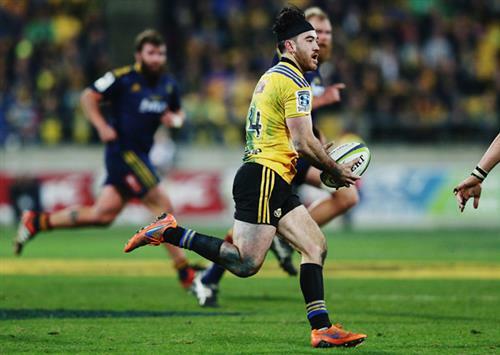 He powered his way to the line through about four Hurricanes defenders but may have placed the ball down on Milner-Skudder's boot. The TMO is having a good hard look at this one. Now we can admire the try. Dixon picked the ball up 10m from the line and showed incredible strength and power to wrestle his way through four defenders to score. And Sopoaga has slotted the conversion. 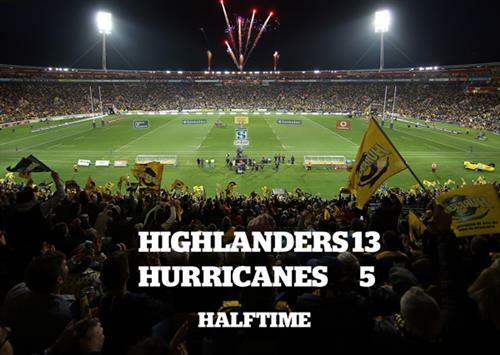 At halftime in the final the Highlanders lead the Hurricanes 13-5.
go highlanders u can do it!! :) epic stuff so far!! The difference at this stage is the kickers. Barrett has missed three. Could be 13 all. Need to get Marshall kicking this half. The second half is underway as the Hurricanes kick off deep down to Aaron Smith who quickly clears into touch on halfway. Hurricanes win the lineout and have a penalty advantage. PENALTY AGAINST HIGHLANDERS -Barrett will kick for goal. A lot of pressure on Barrett now who has missed three from three so far tonight. But this one is good. Barrett slots it and the Highlanders now lead 13-8. Good phase from the Hurricanes now as they spread the ball left to right to left to right. But they keep the ball in hand and advance well through Nonu. But just when it was turning into a dangerous attack they concede a penalty.